I've set up a permanent page on my blog home screen where I'll record case studies showing the development of individual koi. I'll post each case study as a blog entry like this one, and then hold links to all the koi case study blog entries on the master case study page. Here's case study 1. It's from the May 14 kohaku spawning. 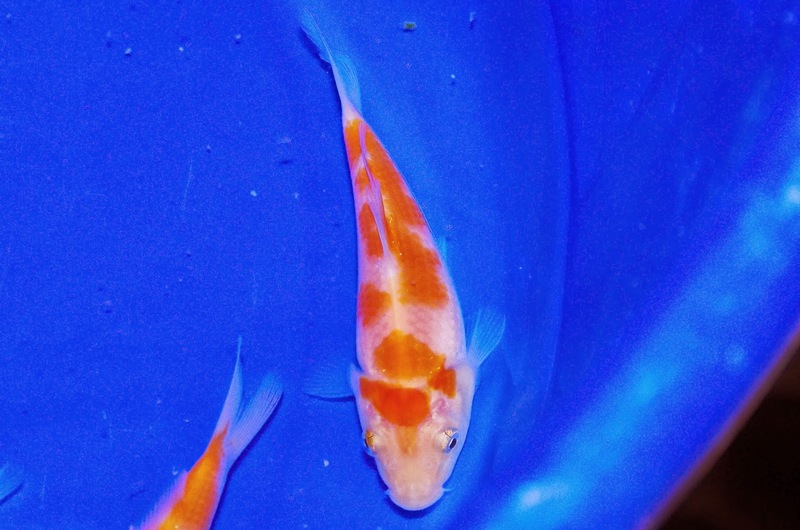 This koi stands out as an example where the hi (red colour) has continued to appear and expand as the koi develops. I have a few case studies where the koi show this development path. Sometime's it works for the better of the koi, and other times the other way around. There are two places where the change in easily noticeable. The first is the head pattern and shoulder pattern, which are merging to form one hi marking. 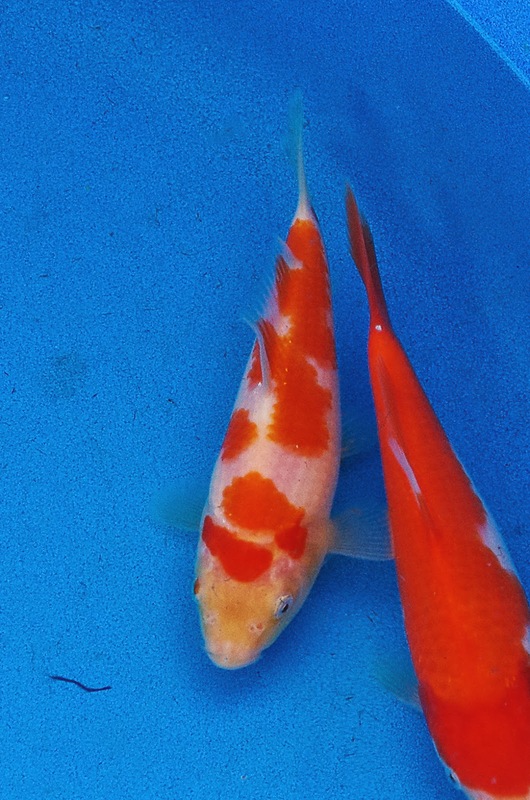 The second is the red pattern on the koi's right hand side running parallel with the dorsal fin. I kept this koi at the Feb 15 selection, and will review it again at the next selection which I expect to carry out in May.